The latest camera in Netgear's security camera line aims to bring parents more peace of mind. Netgear is taking lessons from its success with the Arlo and Arlo Q home security cameras and “applying it to guarding your most precious asset.” Today it announces the Arlo Baby, a 1080p HD smart baby-monitoring camera. 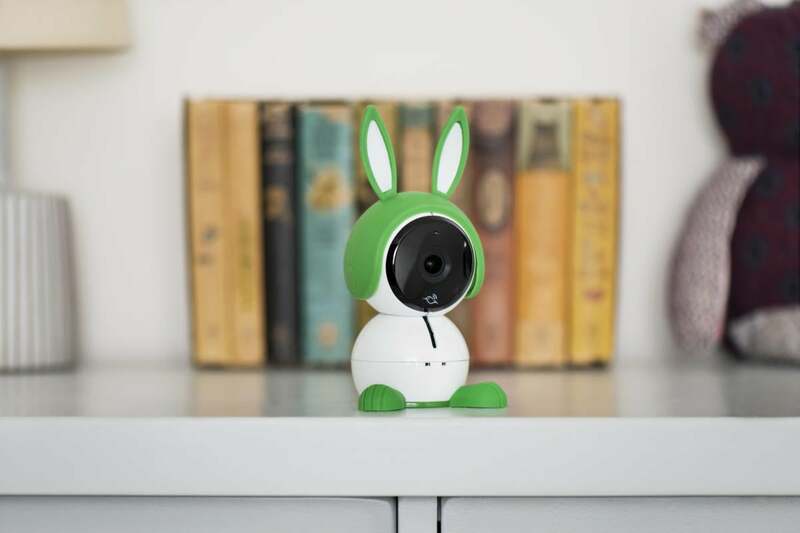 Arlo Baby boasts similar features to Arlo Q, Netgear’s popular indoor security camera: full HD video (1080p), night vision, two-way audio, sound and motion detection, 24/7 recording, and free cloud storage. But the company used feedback from parents who used the Arlo Q to watch their infants to build a better dedicated baby monitor. Arlo Baby sports a host of baby-centric features that are managed from the Arlo mobile app. The back of the camera features a multicolored LED nightlight, to help parents navigate a dark room without shining in the baby’s eyes. The camera also has a built-in music player with 10 lullabies; parents can download even more from a free library or record their own voices for playback to soothe their baby to sleep. Lastly, a pair of sensors monitor temperature, humidity, and air quality levels and alert you when they’re out of range, so you can maintain an optimum environment for the wee one. Arlo Baby can be perched on its stand for clear line of sight into your baby’s crib. Netgear has also modified a few standard security camera features to make them more nursery friendly. Instead of the ring of infrared LEDs common to most home security cameras, Arlo Baby uses two smaller, dimmer LED lights to provide similar night-vision range while being less likely to wake the baby. The camera also uses machine learning to recognize when your baby is crying—rather than, say, cooing or babbling—and will note this in its audio alerts. Arlo Baby will be available as a standalone unit for $250 this April. It ships with attachable bunny ears and feet to help it better blend in with a child’s bedroom decor; puppy and kitten accessories will be sold separately for $20 each. A $35 camera stand that allows for a variety of placements so you can get the best line of sight into your baby’s crib will also be released in April. This summer, the Arlo Baby and the stand will be available as part of a kit with a dedicated 7-inch LCD touchscreen—essentially and Android tablet loaded with the Arlo app—for $350. The impact on you at home: Conventional baby monitors can be as fussy as the infants they keep tabs on. They’re subject to a variety of audio and video interference, offer short reception range, and can be clunky to operate. As a result, many parents are already using IP security cameras as a more workable substitute. With a few well-thought tweaks and the addition some essential nursery accoutrements, Arlo Baby might give parents an even better solution and more peace of mind.